Five years ago, a nationwide survey of 23,000 teenagers, ages 13 through 18, conducted by the Los Angeles-based Josephson Institute of Ethics, reported that nearly six out of ten respondents said successful people do what they have to do to win, even if it involves cheating. In fact, slightly more than half those being surveyed admitted to cheating at least once on an exam. One out of four believed it was okay to threaten or strike somebody when angry which may explain why three out of ten said physical violence was a big problem in their schools and just under one out of two reported being harassed or bullied in a manner that seriously upset them. A veteran teacher and author on educational topics, Paul Barnwell, described the problem and what he believes are its root causes in an article, “Students’ Broken Moral Compasses,” that appeared in the July 2016 issue of The Atlantic magazine. He had asked his English class of high school juniors what they would do if their boyfriend or girlfriend committed a felony crime in which other people were seriously harmed. Would or would not they report the incident and turn that person over to the police? Not one of them said they would “snitch,” thereby indicating they had no concern whatsoever about who was being harmed. Their personal loyalty to their friend was their paramount virtue. First of all, public apathy about character education doesn’t appear to be the problem. One survey by the Gallup Poll reported that nine out of ten adults support public schools teaching honesty, acceptance of others, moral courage and other character development topics. Neither are the young people inherently evil. The problem, Barnwell observed, is that they lack experience in dealing with personal values. The topic of values and ethics is mostly a foreign concept to many students. In fact, when he later asked his students, “Do you think you should discuss morality and ethics more often school?” a large majority of his students nodded in the affirmative. "The problem, Barnwell observed, is that they lack experience in dealing with personal values." Ironically, the character gap in most schools ignores the relationship between character education and academic achievement. 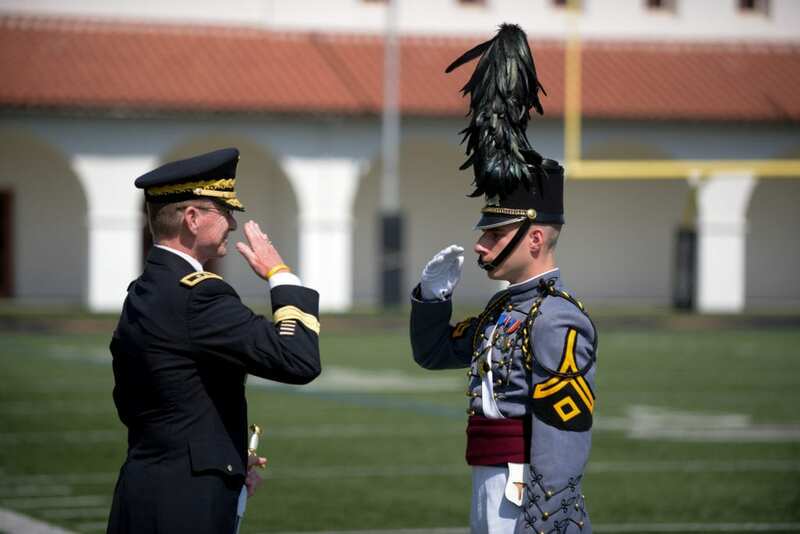 According to studies cited by the Army and Navy Academy, there is a correlation between students with character-based qualities – self-discipline, cooperation with others, and persistence – and academic achievement. Students with good character traits tend to ask more questions in the classroom, are harder working, and score higher on achievement tests. Yet another likely reason for schools eschewing the teaching of ethics and values is a belief on the part of some educators that schools need to be “value-neutral” to avoid legal problems. Dr. Steve Ellenwood who heads up Boston University’s Center for Character & Social Responsibility dismisses such concerns, pointing out there is legal precedent for teaching about religions, character, and ethics while not imposing any set of beliefs. Adding to that, Barnwell’s article cities research by San Diego State University psychology professor --- and the mother of three daughters -- Dr. Jean Twenge, who noted that schools haven’t picked up the slack in character education that’s been created by declining involvement in religious activities on the part of teens the past several decades. She suggested schools expose students to tough issues within the context of academic work, not imposing values, but simply exploring them. Teach moral intelligence. Use situations and circumstances that arise in everyday life proactively to teach the difference between right and wrong, beginning in early childhood. Doing so over time instills morals and ethics about honesty, integrity, respect, compassion and perseverance in children to apply as they enter and traverse their teenage years. Set standards. Parents have the largest influence in setting their teen’s moral compass by setting rules and standards in the home environment. Having ground rules for dealing with others, honesty, and expectations provides the teen with the beginnings of his or her moral compass. It goes without saying parents and other adults of influence in the teen’s life need to model that behavior; a subtopic that follows. Talk to your teen. Talking to a teen is a way to gauge where his or her moral compass is pointing to as well as to help the teen develop or adjust his or her compass. Adults can break the teen’s habit of grunting one-word answers to adults’ questions by asking questions that prompt more communications. For example, ask, “What would you do if your friend wanted to copy your test?” or “Do you ever feel like your friends get to do stuff you can’t? Such conversation starters can help the teen think about certain things and how his or her moral compass will dictate a proper response. Promoting compliance. Once the important values are instilled in a teenager, promoting compliance becomes the next step. Encouraging children and teens to respect authority and follow social rules that govern behavior is integral for a child’s overall success, according to Rutgers University Sociology professor and author Dr. David Popenoe. He suggests it may be more effective to get teens to comply by engaging in a meaningful dialogue that includes and explains expectations and encourages the teen to comply in order to be seen as acting in a mature manner. Correcting mistakes. Teenagers will make mistakes trying to adapt and live by a moral compass. Social worker Janet Lehman on the Empowering Parents website suggests that approaching the mistake calmly and with a good dose of common logic will help an adult teach a teenager effective lessons about cause and effect and consequences. For example, if a teenager borrows something and then loses it, then logical consequence is to apologize and replace the item. Test the teen’s core values. It’s important that a parent or other adult of influence step back during an argument with his or her teen to observe the core values at work or not at work during the argument. Maybe the teen lied to the parent about his or her grade in school because of the fear of disappointing the parent. Maybe the teen allowed a friend to copy his or her test or a homework assignment out of being loyal to a friend. These are occasions where corrections can be made about how to observe and follow the core values in place. Recognize autonomy. The teen’s moral compass may not be exactly the same as his or her parents or the adult of influence who inculcated values and standards. Respect the fact that the teen has the right to have minor differences as long as the moral compass is on track.